Looking for nice NY Jackets & Vests? See our unique inventory of Westchester County Hand Crafted Indian Designs! Serving Fairfield County & White Plains! Formal. Casual. Beautiful colors in prints, weaves, textures and design, all handmade and some one of a kind. A jacket for any day of the week. 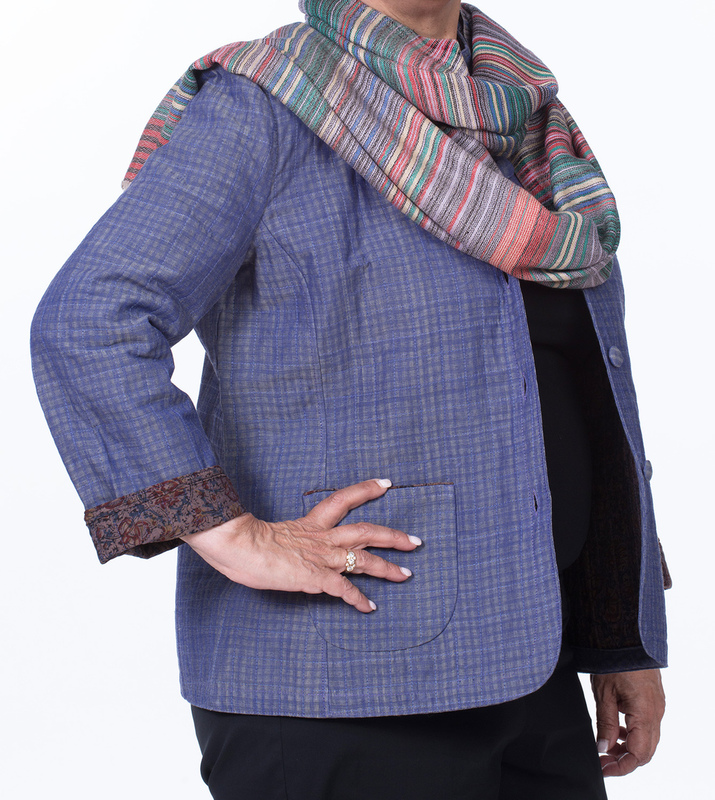 Whether silk, cotton, or wool, haath jackets offer a unique look with great attention to detail. 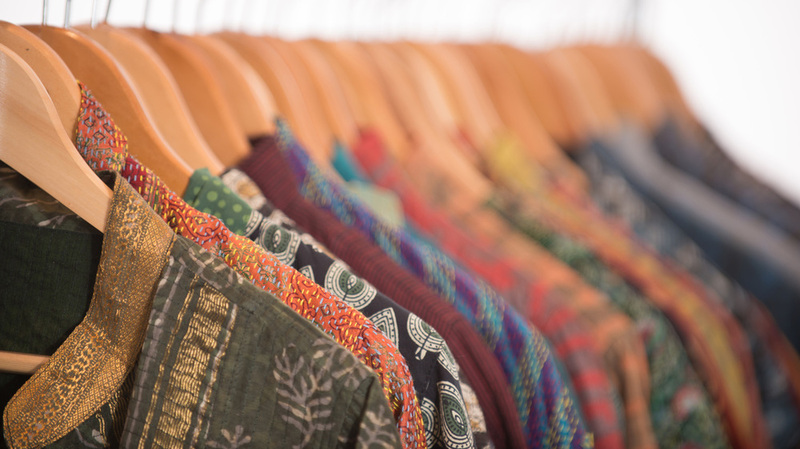 Silk jackets, quilted in mud resisted tussar silk or printed with labor-intensive and exquisite Kantha embroidery. Cotton jackets offer options to take a casual day look into evening. Cotton jackets and vests, quilted, printed, appliqued, hand-woven, some reversible too. Wool jackets are hand-woven and tie-dyed. Variety of designs create a distinctive edge to the look of each outfit. There is something for all ages, tastes and styles. Let your imagination be your guide. Prices range from $55 to $200. Custom orders welcome.